A graduate student from the School for Social Entrepreneurs has been named Entrepreneur of the Year at a ceremony in Sydney. The award for “Social Entrepreneur of the Year” was received by Shanil Samarakoon for his work in supporting rural villages in Malawi to access their own green energy, clean water, and microcredit. 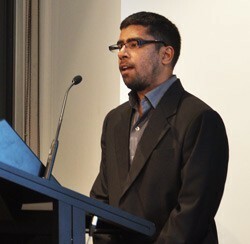 Samarakoon was one of the 13 students graduating from the year-long School for Social Entrepreneurs program working on a range of social initiatives and enterprises including: a café for public housing tenants in Telopea to build a sense of community and generate training opportunities; an Indigenous employment program called Career Trackers; and a Sydney City Farm and Sustainable Living Centre. The School for Social Entrepreneurs (SSE) Australia is based on the successful UK SSE which has been pioneering the development of social entrepreneurship and social enterprise for over 10 years. The Sydney SSE was opened in early 2009 the Melbourne School was launched in April 2010. CEO of SSE Australia, Benny Callaghan, says that since launching the Sydney School, graduating students had attracted over 3.2 million in funding for their ventures and are responsible for creating 38 jobs and 256 volunteering positions. The School for Social Entrepreneurs runs a year-log program that gives social entrepreneurs the personal and business support to grow their venture to be more effective. The SSE Australia is supported by Social Ventures Australia, the School for Social Entrepreneurs UK, and Steve Lawrence (a social entrepreneur and Chief Executive of the Australian Social Innovation Exchange). For more information on the School visit www.sse.org.au.